Gondola to shop center. Ideal for exposing folded clothes or other items such as footwear, suitcases and small / medium sized pieces. 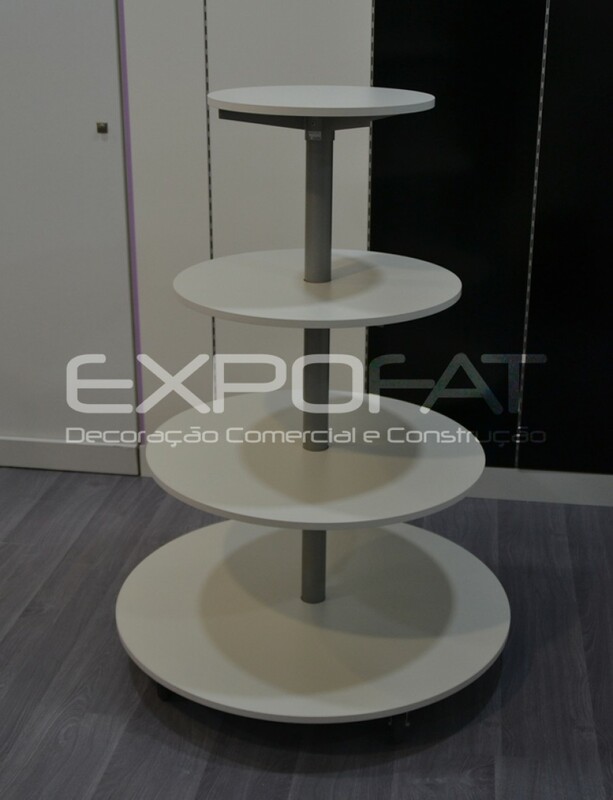 With metal structure, round or oval shape. 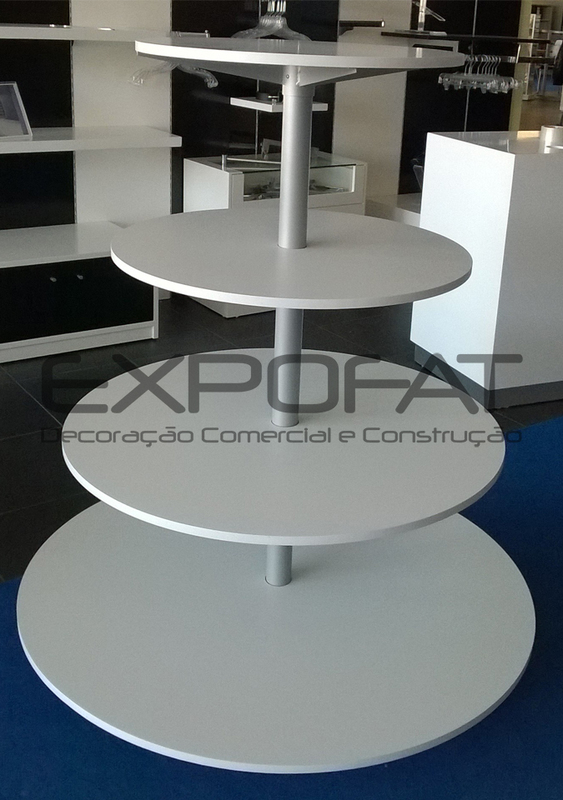 Dimensions: 1300mm (height) x 900mm (base diameter). 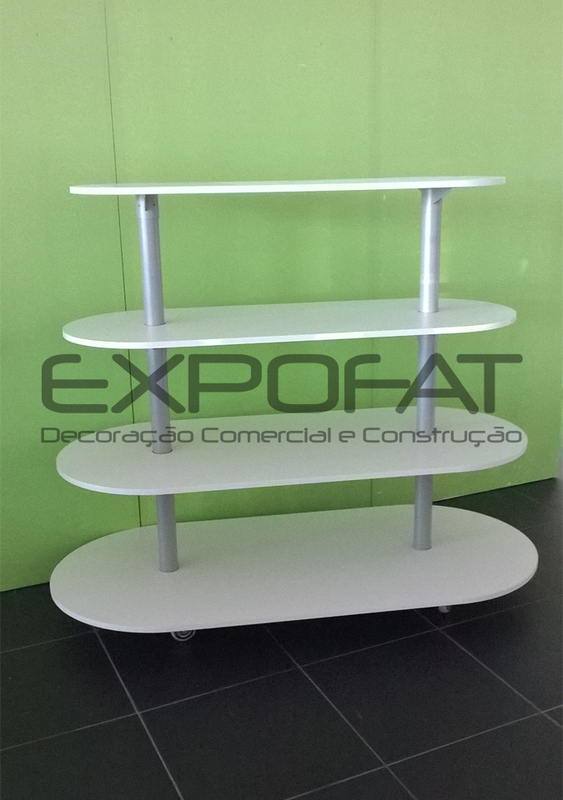 1300mm (height) x 750mm (base depth) x 1400mm (base length).